What’s the Deal with Destiny, Yo? It’s really not a hard question to answer. Unless you are living under a rock, you know about Bungie’s upcoming ‘living world,’ shoot-and-loot first person shooter. And in case you don’t, a $500 million marketing budget for one of the most anticipated new releases of the year says YOU WILL soon enough. Since the developers of Halo officially announced their new IP back in 2011, there have been many questions and few clarifications as to what Destiny would actually be. Is it a FPS MMO for consoles? Is it open-world? Is it Halo? Will it be the definitive next-gen game that truly have gamers flocking to buy Playstation 4s and Xbox Ones? And here we are, 3 years later with a playable beta, just 6 weeks from the September 9th release date. I, like most gamers, have spent considerable time with the Beta this week, playing both on Xbox 360 and Xbox One. I’ve maxed out all three playable characters, spent some considerable time in the competitive multiplayer, and played through the missions both with friends and solo. We spent time exploring the available terrain, found the numerous hidden “?? ?, impossible to beat” enemies, and relived some of our favorite scenes from Return of the Jedi on our speeder bikes. So was it fun? Am I sold on the game? Let’s talk about what Destiny really is, and I’ll go over what I liked and didn’t like in the beta, what I want to see them add or improve on, and finally, what you can do to better prepare yourself in the coming weeks for Destiny’s launch on September 9. When I first discovered that Destiny could be this concoction of Halo mixed with Borderlands, I was inevitably hooked. I’ve been playing Halo since the beginning (still log about 2 hours of Halo 4/Reach multiplayer a week), and I have always admired it’s tight controls and shooting mechanics. While the story and lore have never grabbed me like some, the weight of the weapons, precise aiming and integration of vehicles have always trumped all for me. That, and the social experience Halo has always offered in it’s campaigns and multiplayer. With all the countless hours of LAN parties and split-screen couch-co-op with friends, it was no wonder jumping into Destiny’s world with my buddies just felt right. Sure, the first mission is solo only, but having a friend or two by your side from that point on is very rewarding (and almost necessary) in Destiny. More on that later. Another franchise I’ve played way too much of is Borderlands 1 and 2. Gearbox’s looter-shooter scratches many itches I’ve always had as a gamer, and I’m surprised more games haven’t tried to copy a formula that has garnered so much praise and financial success. While the missions may be uninspired – the go to waypoint, collect something, push a button and move on – it is the humor, characters and story of these games that have me hooked. And the numbers coming out of enemies heads. I do love that, maybe a little too much. Gladly, Destiny appears to have the coveted DPS numbers as well, that never-ending carrot on a stick to improve and get stronger. There are also chests to open in Destiny, even if they are not nearly as satisfying as the ones found in Borderlands. And then there’s the customization. In Borderlands, you have the multiple skill trees/builds for each character. 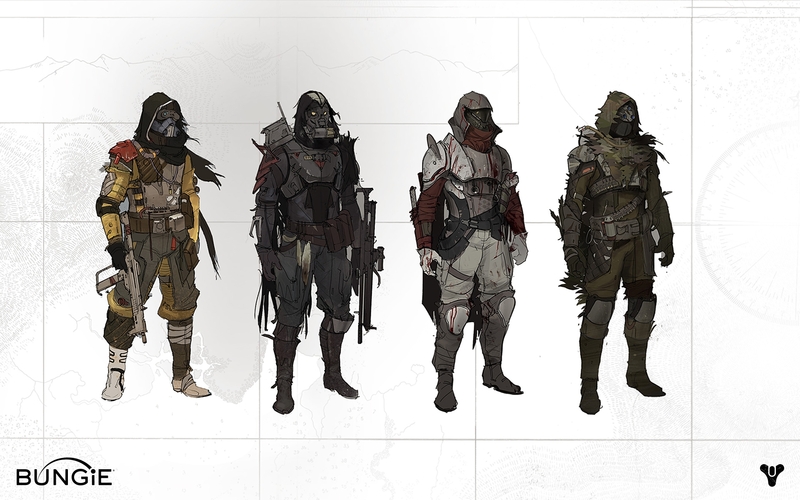 It seems like Destiny will go the same route here, although I don’t feel it will be as robust as Borderland’s customization. I have always said two things would make Borderlands the perfect game… 1) more unique gun customization; the ability to craft, add or upgrade sights, gun barrels, bullet and elemental types, etc. that level up as you use the gun, and 2) better shooting mechanics. Destiny has the second one down. I hope they can truly deliver on the first as well. The world of Destiny is a mixed bag for me. Judging by the way the missions are accessed and laid out, this is NOT an open world game like Skyrim. The playable area of Old Russia we got to explore seemed pretty big, and there were definitely caves and nooks and crannies to explore. Flying through the gultch on the speeder bike was fun, and the game certainly looks pretty (even on the 360, it looked nice). I’m still not sure how drawn I am to the universe. The story seems very basic so far, with the big-ball traveler thing protecting us from the darkness, yada yada. It could get interesting, don’t get me wrong, but I don’t have terribly high hopes based on the melodramatic, uninspired voice acting from the Beta (I know it’s Peter Dinkladge from Game of Thrones, but come on Peter, even though your voice is synthesized to sound like a robot, doesn’t mean your acting has to be robotic, too.) I’ve never been a big story guy in video games to begin with, so Destiny’s story is not that important to me, but I know it will be for a lot of people. 1) The melee in this game is amazing. It might seem like a small thing, but the first time you punch, knife, or force push an alien in the face, it’s a very satisfying experience. And that rewarding feeling remained throughout my time with destiny. The melee attack seems very powerful and useful, especially in conjunction with the shotgun, and the later addition of the throwing knife to replenish your melee energy adds a fun tactical side to the action. Love it! 2) The gunplay is really solid. As mentioned already, I love the gunplay here. It feels like a good balance between Halo and Call of Duty, while still feeling unique in of itself. I enjoy being able to aim down the sights using left trigger instead of pressing in on the left stick in Halo. And as said before, the numbers coming out of enemies heads is just cool. 3) The frenetic pace of the action. Playing through all 6 available missions from the beta with a friend is a very gratifying experience. The aggressiveness of the AI kept me on my toes the entire time, and the challenge always felt there without feeling overwhelming. Working together was key for success. The hunter’s double jump was particularly advantageous in those really tight situations where you need to evade and find cover. 1) A ‘private/party’ mode. This may be directly contrary to what Destiny is trying to accomplish, but I am not a huge fan of sharing the game world with a bunch of strangers. Having my strike team of friends with me is one thing, but many times during the Beta, I found the other random players to detract from the experience. For example, my friend and I were starting out a new class and entered our first mission in Russia at Level 2, the same level as the enemies we were fighting. But also in our game world were three level 8s who were running along the same path as us. Because they were a higher level with better weapons, they easily dispatched of all the enemies before we really even got a shot off. Not much fun for my friend and I. If there was a simple toggle on/off for allowing strangers into your game world vs. only allowing your friends, that would solve everything. 2) Greater customization for characters and guns. Maybe I am just spoiled by Borderlands 2 (or many MMOs), but it seems like only having 3 classes is a little on the light side, and I didn’t really feel my character was that unique or special compared to others. The visual changes in the equipment were nominal at best, and none of the character features you could alter (I made each of my characters look like a mix between David Bowie from Labyrinth and a clown) really jived with me. I can imagine some of the armor will look visually unique at higher levels, and there will probably be more customization options in the final version of the game. Just a small concern. I would also like to see more variety in character skills and abilities. If we will only have the one special skill for the entire game, that might get a little old pretty fast. Also, being able to use every weapon in the game dependant of class is handy, but it would have been cool to have unique weapons for each class as well, and I am hoping for a greater variety of weapons overall then the ones we saw in the beta. 3) I want to pilot my ship. I really hope this is an option in some way, shape or form. It’s cool to look at my ship on the loading screen, but I would LOVE to pilot it from the city down to whatever planet I might be going to on a mission. Customization of ships is neat, but what good is it really if you can’t physically fly and enjoy your ship. Oh, and while you’re at it, let’s get a Warthog in there for your strike team to run around in. Come on, Bungie. 4) Increase the size of the strike teams from 3 to 4. This may seem like a little thing, but when you have a group of 4 people that play these types of games together on a regular basis, it’s not cool to have to leave one behind. Four is a good, standard number for co-op teams in games, and it doesn’t make sense to me in a game all about playing with others that you would restrict that experience to only 3 people. My suggestions for preparing for Destiny’s release on September 9. 1) Buy a new console. Either the Playstation 4 or the XBox One will do, but this is definitely a game to invest in the new console for. For starters, it looks measurably better on the newer consoles. More importantly, you need to look at this game as a 10-year investment. That’s what Bungie is doing, saying they are dedicated to bringing out new content over the next decade. You may be content playing on the 360 or PS3 for now, but what about 3, 5, 7 years from now. This could be our first real reason to invest in the new hardware, plus October is right around the corner when EVERYTHING starts getting released for the new systems. 2) Play Defiance. Wait, what? Did he really just suggest you play a buggy, average game that tanked when it was released last year due to mediocre critical approval and lackluster fanfare? I mean, it’s based on the SciFy Channel show of the same name, and how good are THOSE shows? Yes. I did. Defiance is a game I picked up late last year in the bargain bin for $5. And so can you. Why would you, you ask? Because it is basically a third-person Destiny. No, it is not as polished, and it does have its flaws, but this little title had (and still has) a lot of ambition. In every respect, it is a third-person shooter MMO, the only one of it’s kind for the Xbox360 and PS3. Pretty much everything that is in Destiny is also in Defiance. Just be ready for some bad acting in cutscenes, a few glitches every now and then, and no collision detection for players and vehicles (which Destiny has). But also be prepared for a very competent game with lots of content, above average shooting, a robust upgrade and loot system, and all the massive-scale, competitive multiplayer you can handle. Honestly, it’s a good way to familiarize yourself with the MMO structure that Destiny is based on, and heck, what else is coming out in the next 5 weeks anyways?! Protip: Prepare to sit though lot’s of patching when you load the game each time. 3) Find a good group of people to play with online. Destiny is a game that is truly better with friends, and you will get the most out of the experience with your buddies. If you don’t have real life friends that will play destiny with you, look on forums, find people who are serious about the game, and get your digital posse together pronto. One thing I’ve always found with MMOs is there can be an issue with level imbalance (you’re a level 52 and I’m a level 4), so starting around the same time as your friends is a good thing too. So there we have it, one dude’s impression of the Destiny Beta and all things Destiny to come. Overall, my impressions are very favorable, I am sold on the game, and I look forward to seeing how it is both received and how it will change and evolve, as all good MMOs do, over the years. Bungie did it once when they popularized and mainstreamed first person shooters on the console with Halo. Will they revolutionize gaming as we know it again? Well, at the very least they are giving us a new IP, and that may at the very least give the Halos, Battlefields, and Call of Duties an inspirational kick in the pants they so desperately need. 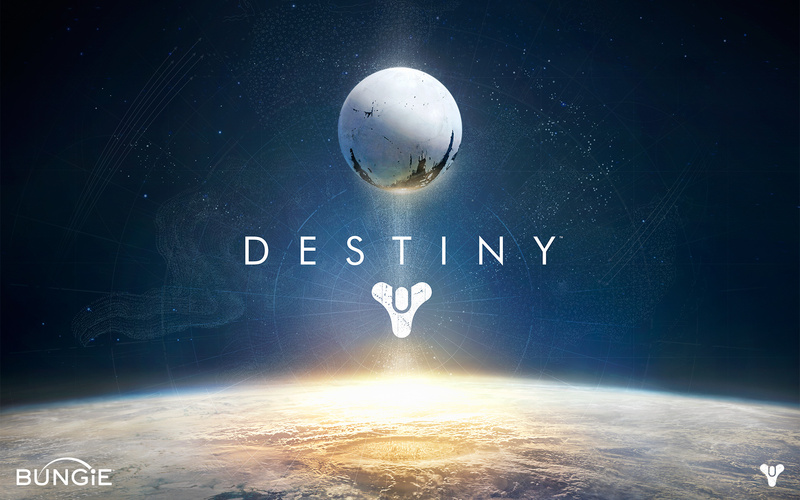 What are your thoughts on the Destiny Beta? Share them with us in the comments below, or by writing to us at bitfixradio@gmail.com. We will share your thoughts and you could be part of the discussion on a future show of Bit Fix Radio! Happy gaming!